La Victoria is a highly prospective exploration property located in the prolific North-Central Mineral Belt of Peru, within 50 kilometres of world-class gold mines, including Tahoe Resources’ La Arena Gold Mine and Barrick Gold’s Laguna Norte Gold Mine. Yet the project has never been drilled. That’s despite it being a highly prospective project with three major mineralised targets that have been known since the 1970s. The project was privately owned for over 30 years but is currently fully owned by Canada’s Eloro Resources (TSX-V: ELO), a C$26 million-capped exploration and mine development company. It is this golden potential that led EHX to enter into an earn-in agreement with Eloro, where it has the opportunity to earn up to a 25% interest in the La Victoria Project via staged exploration expenditures. Of course, it is an early stage company and investors should seek professional financial advice if considering this stock for their portfolio. And it is now time for that drilling begin as Peruvian authorities have given the joint-venture exploration project the green light to go ahead. 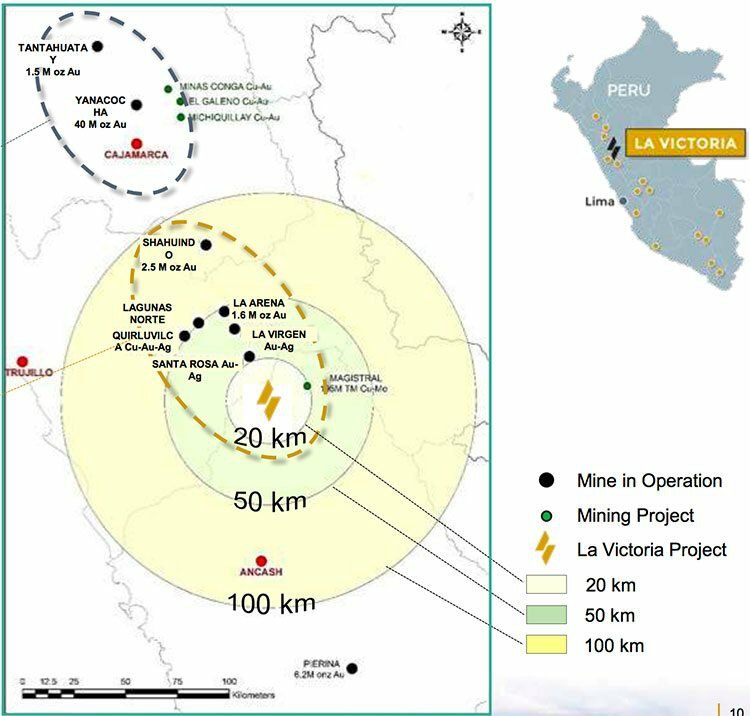 When we introduced you to EHX back in early August with the article, ASX Junior Weeks Away from Drilling in Peru’s Golden Elephant Country , the company had just relisted on the ASX, and had agreed to acquire up to 25% of the La Victoria Project. It has now received permits from Peruvian authorities to begin drilling . 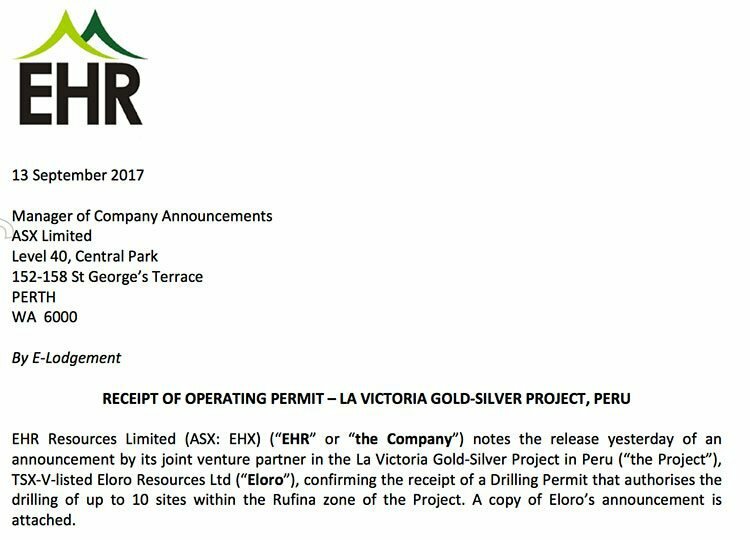 The La Victoria Gold-Silver Project is being progressed by EHR Resources (ASX:EHX) along with JV partner Eloro Resources (TSX-V:ELO). Eloro currently owns a 100% interest in the La Victoria Gold/Silver Project, while EHX earlier this year agreed to earn up to 25% of La Victoria via a two-stage process. It can earn into an initial 10% interest by spending C$2 million by October 30, 2017, with the option to acquire an additional 15% interest by spending a further C$3 million by July 31, 2018. The total potential outlay for EHX is C$5 million (A$5.1 million). This two-staged approach to exploration (and earn-in) provides downside protection to EHX...although it’s the upside potential of this project that’s really gaining attention. EHX was formerly known as Cott Oil and Gas and traded on the ASX under the code CMT. The company had been focused on oil and gas exploration prior to EHX making the strategic decision to transition to becoming a mineral resources company, taking a particular interest in Peru’s prolific North-Central Mineral Belt. EHX identified the huge potential on offer from mining for gold in Peru... and had one unique property in view, the La Victoria Gold/Silver Project. On August 4, EHX recommenced trading under its new name and code. It came well prepared, having completed a $2 million prospectus capital raising that was oversubscribed. 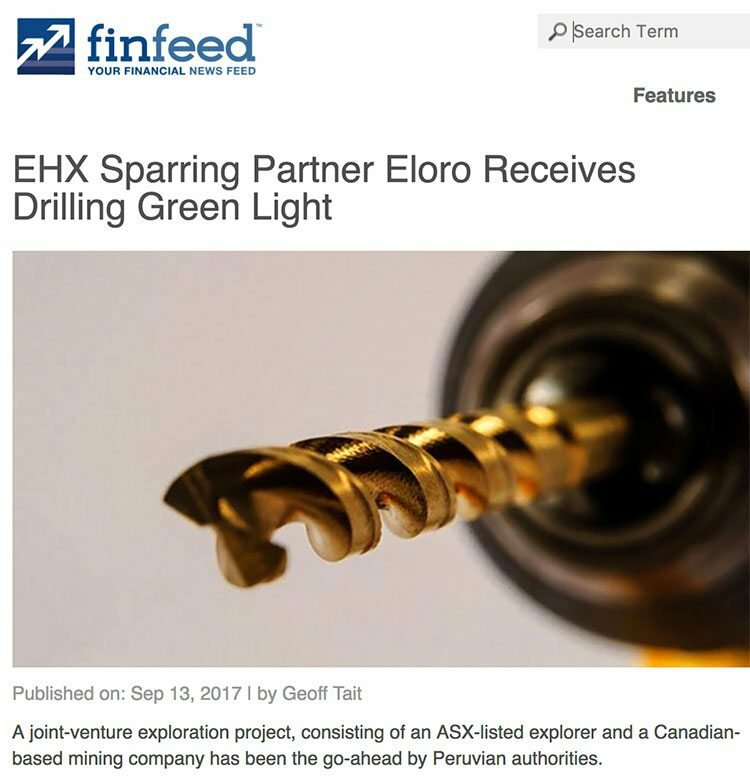 The raising left EHX with a total cash balance of $6.3 million as it progresses with its earn-in with Eloro Resources. And while EHX has only begun trading on the ASX since the company’s relisting on August 4, shareholders have already seen the share price rise by close to 50%. Although it should be noted that share trading patterns should not be used as the basis for an investment as they may or may not be replicated. Those considering this stock should seek independent financial advice. The La Victoria Gold-Silver Project is a highly promising, yet still to be developed, gold project located amongst world-class gold producers. The project is made up of 16 concessions: eight registered mining concessions and eight mining claims totalling 89 square kilometres across five principal mineralised zones: San Markito, Rufina, Victoria, Victoria South, and Ccori Orcco. These targets were identified over 40 years ago but are yet to be drilled. The project’s nearology makes it particularly attractive. It is located within 50 kilometres of several existing large, low-cost producing gold mines, with three producers visible from the property. Thanks to these existing projects, infrastructure in the area is good with access to road, water, and electricity. The project area is highlighted in red on the below map. Note the nearby major producers including Barrick Gold and Anglo American. This prospect has never been drill-tested even though it has significant gold mineralisation outcrops at surface. A 2016 IP/Res survey identified a large spatially-correlated chargeability and resistivity area beneath the Rufina zone which also will be tested. Recent geological work indicates that the mineralized target zone in Victoria-Victoria South which is up to 200 metres wide extends south for at least two kilometres along strike and likely connects with the Runa zone. This is part of an extensive multi-phase epithermal gold-silver mineralising system on the La Victoria property centred around the Puca Fault and environs. The drilling permit authorises the drilling of up to ten sites within the Rufina zone of the La Victoria Gold/Silver Project. A contract has been signed with Energold Drilling Peru S.A.C., for up to 5000 metres of NTW diamond drilling. Energold’s portable drill rig can be readily moved by existing public trails and requires only minimal drill pad preparation. It is still subject to Eloro receiving the go-ahead on an outstanding water permit, but that is expected to arrive soon. The ANA (Peru Water Authority) has already carried out its Property inspection and is now reviewing Eloro’s application. In the meantime, and since receiving the drill permit, field crews are proceeding with preparation of the approved drill sites and carrying out improvements to the existing public trail system. 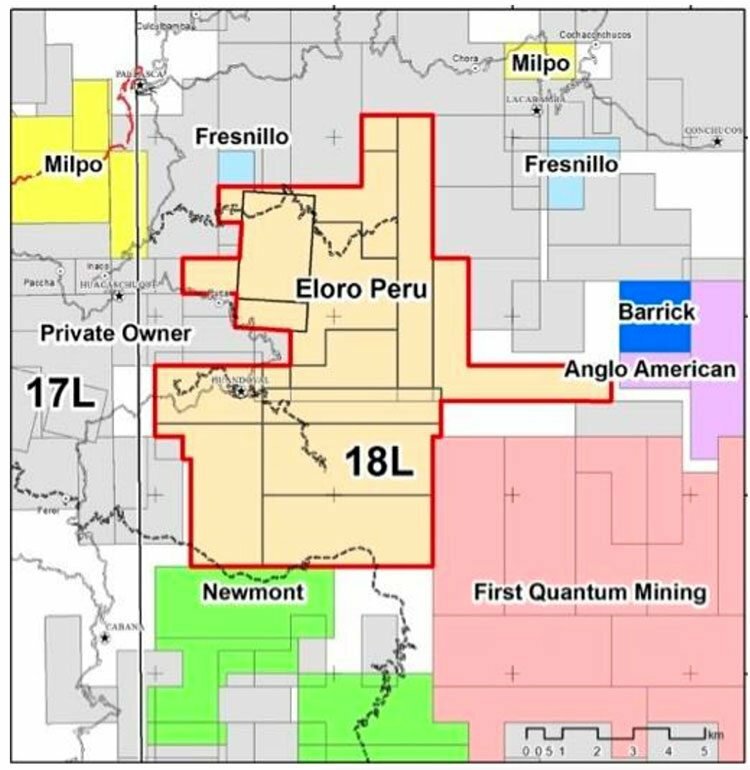 The granted drill permit authorises the construction of drill pads and related works at the site, which will be completed by drilling contractor Energold Drilling Peru Sac, who’ve agreed to conduct up to 5000 metres of NTW diamond drilling. The JV plan to carry out an aggressive drill program at Rufina while at the same time proceeding with drill permit applications for the other major target areas. Here is an article from Finfeed.com, a related entity of S3 Consortium Pty Ltd as defined in Section 9 of the Corporations Act 2001, with more details on the drilling approval. 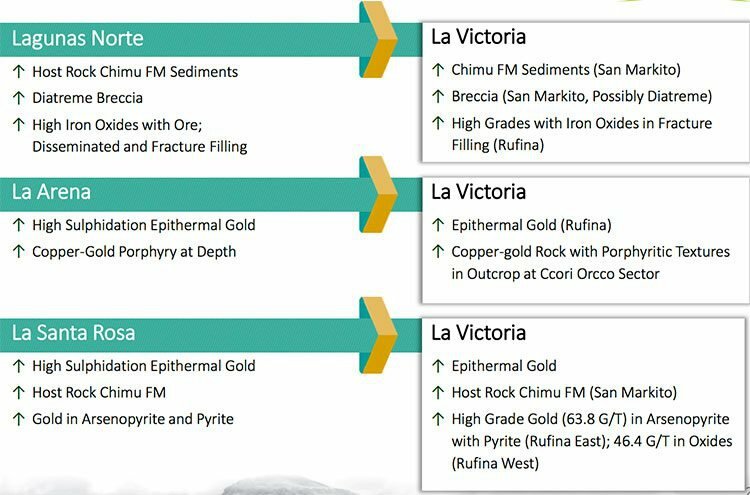 Eloro and ESX hope to develop La Victoria into a world-class Resource, producing at a steady rate over a multiyear period. In addition to the project neighbouring a number of major producers, some of the most attractive features of the La Victoria Project are its relatively underexplored status and it being a low-cost operation. The ground beneath the La Victoria Project was only recently acquired by Eloro, having been locked away in private hands for generations, and therefore, has never been subjected to modern exploration/mining methods. Several prospects surrounding La Victoria are currently active mining areas with proven Resources reaching into several million ounces. When comparing with other local mining companies, it’s clear that ESX together with Eloro have the potential to develop a multimillion ounce Resource of their own. Within just 50 kilometres from La Victoria are the major producing goldmines — Lagunas Norte Gold Mine, La Arena Gold Mine, and La Santa Rosa, as seen on the map below. The Lagunas Norte Mine, owned by Barrick Gold Corp., has produced 1.2Moz in its history, and more recently, 560,000oz in 2015 at a cost of $509/oz. While Tahoe Resources’ La Arena Gold Mine has a defined Resource of 919,000oz Au, producing 230,436oz gold in 2015 alone. If the upcoming drilling at La Victoria finds the mine to be similar to its producing neighbours, and backed by rising gold prices, we could see EHX shareholders rewarded sooner rather than later. 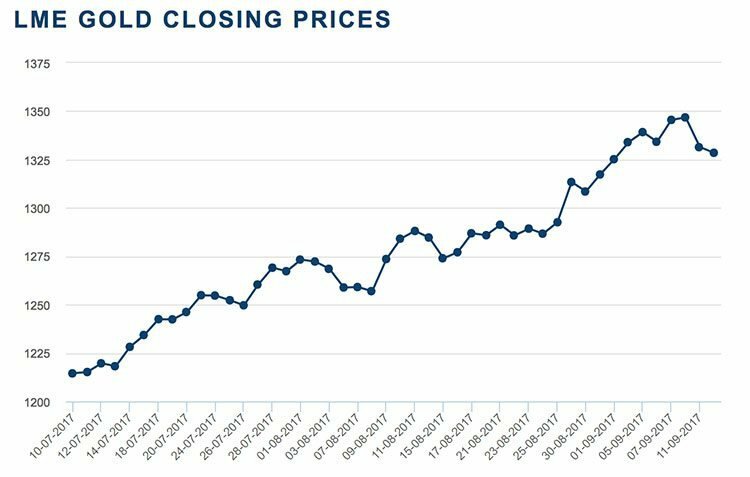 With a market cap of just $6.16 million, and a share price of just 10 cents, there is plenty of blue-sky potential ahead.